File photo of Pau Gasol. 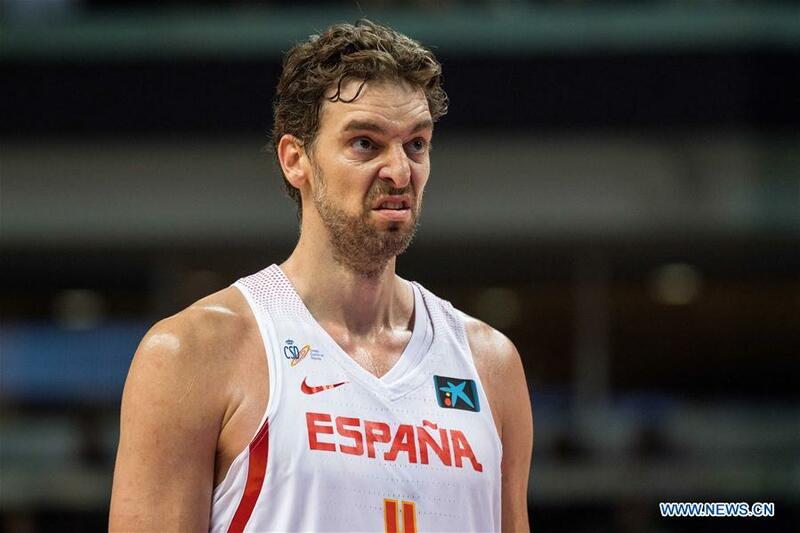 The Milwaukee Bucks announced on Sunday that they have signed center Pau Gasol of Spain. Gasol, who is in his 18th season in the NBA, is a six-time All-Star and two-time NBA champion. He's appeared in 1,223 games (1,150 starts) throughout his career and holds career averages of 17.1 points and 9.2 rebounds per game. Originally selected with the third overall pick in the 2001 NBA draft by the Atlanta Hawks, Gasol spent the last three seasons of his career with the San Antonio Spurs where he averaged 10 points and 7.4 rebounds per game while shooting 47.8 percent overall and 44.4 percent from three. Throughout his career, Gasol has played in 136 playoff games (122 starts) in 12 seasons and won back-to-back NBA titles with the Los Angeles Lakers in 2009 and 2010. Gasol will wear No. 17 jersey with the Bucks.